Mica heaters for toasters are available at Chhaperia. With proper functioning, you can choose toaster heating elements of the available elements. Remaining dominant in producing a wide range of heaters and heating elements, we step into the next generation to serve after contributing our services for over two decades to various industries. Our services have received a great appreciation from clients all over the world thereby making us trusted heating elements manufacturers. Nichrome wire wounded back and forth for a mica sheet. The high electrical resistance of nichrome allows the metal to get hot quickly. Infrared radiation heats the bread in the heater, and when heated, the toasted bread comes out which is through spring action. To ensure stability and heat in the toaster, a reflected is inserted. The mica heaters for toasters range in terms of power from 99.6V/297W to 230V/850W. 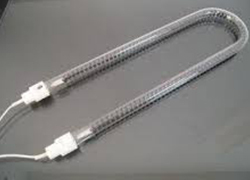 The toaster heating elements vary according to the type of voltage/watt the customers prefer. Six different types of toasters are available at Chhaperia. Choose the one you wish to have.